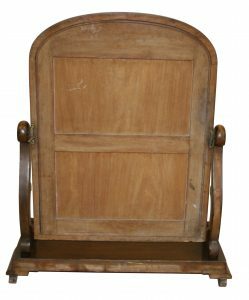 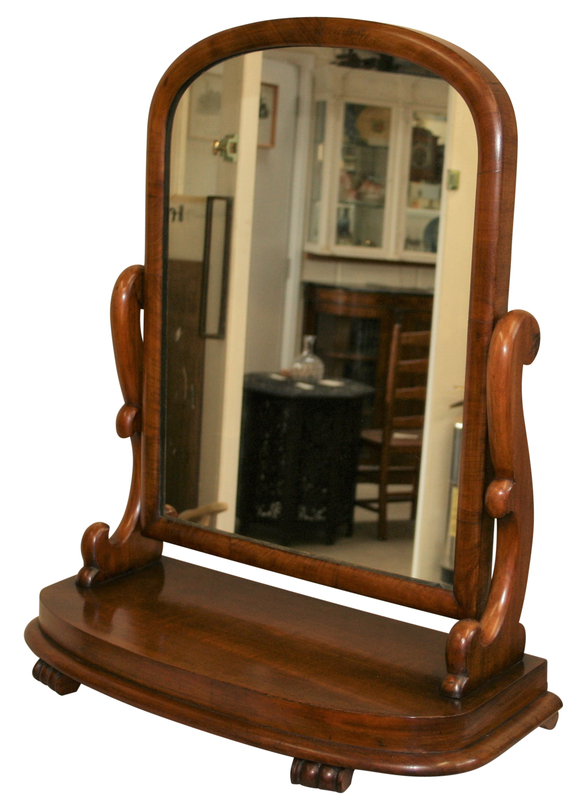 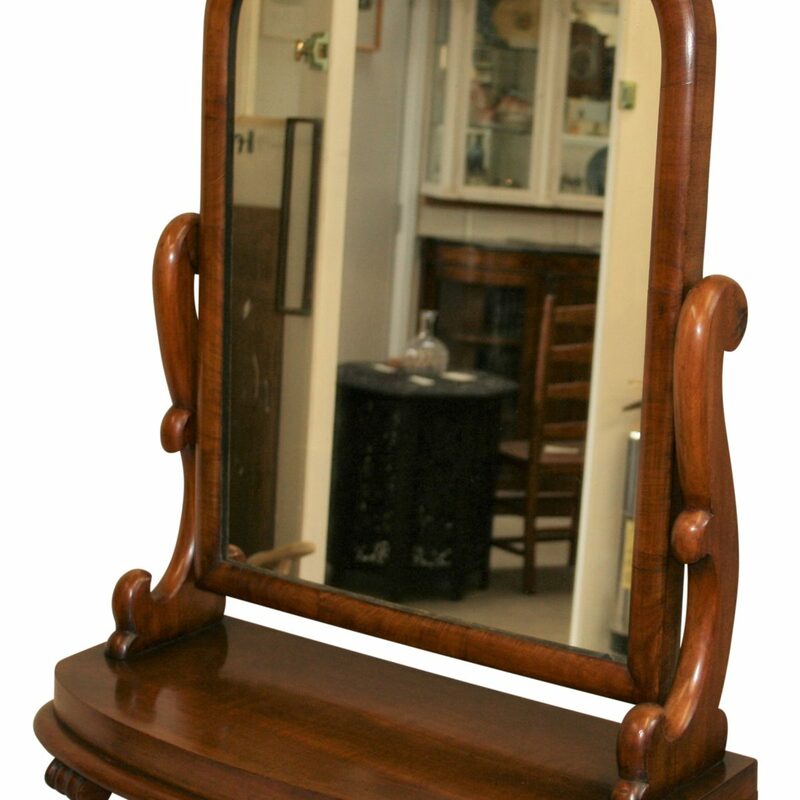 A late Victorian mahogany toilet or dressing table mirror. 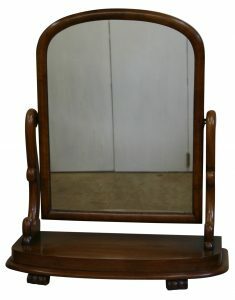 The adjustable arched top frame is fitted with mirror glass. It is supported on a pair of scrolled uprights. 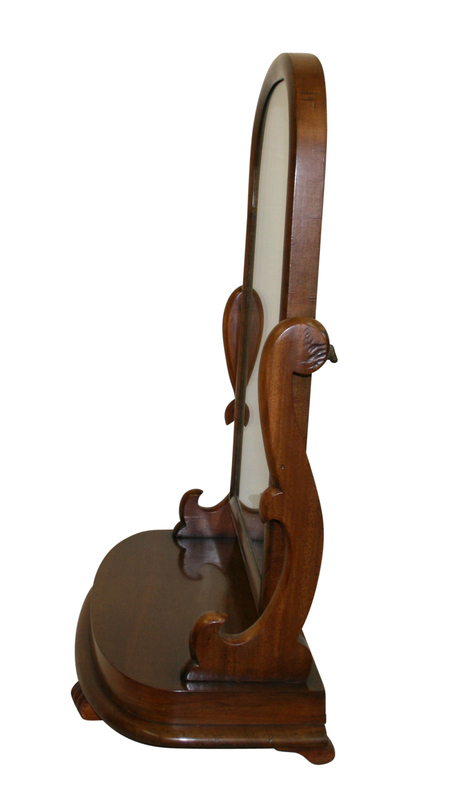 The shaped base sits on carved feet.